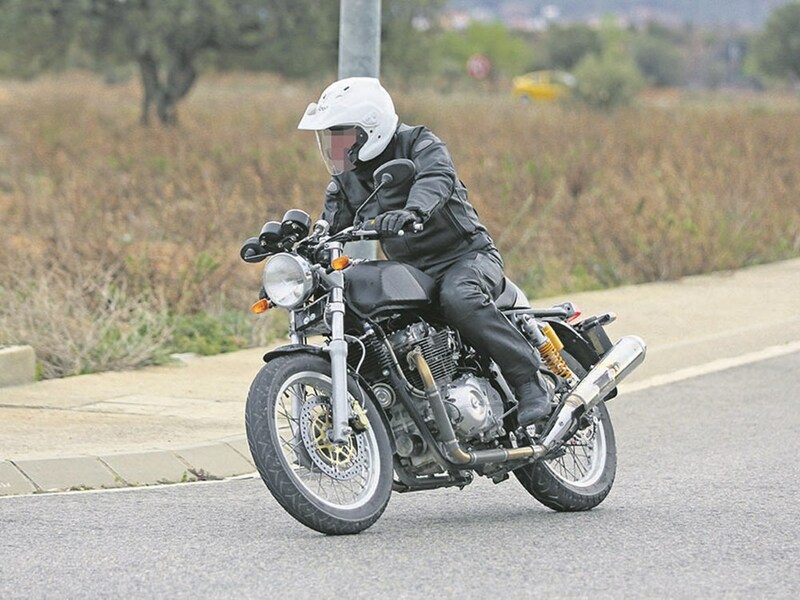 Rumours have been doing the rounds of a twin cylinder Royal Enfield for a while. 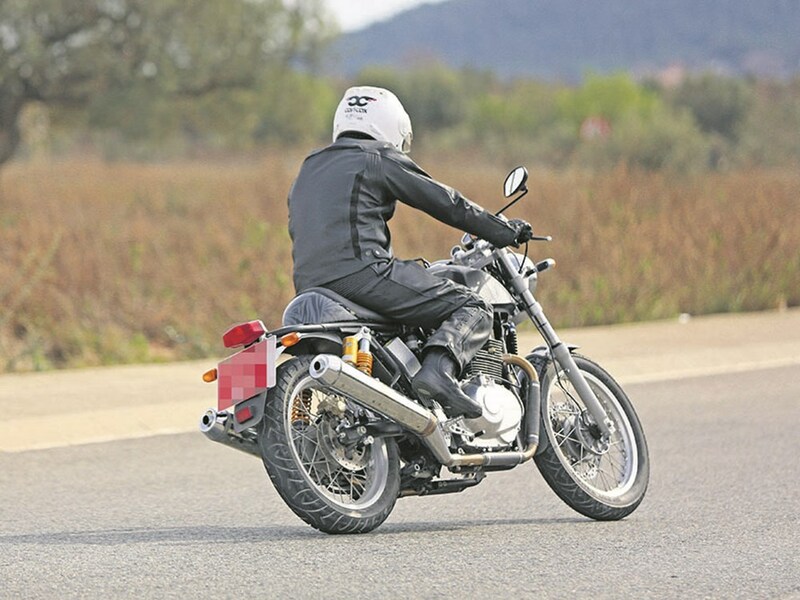 When they brought out the Continental GT it was pretty evident that here was a platform that could cope with a lot more than the 535cc single it was carrying. 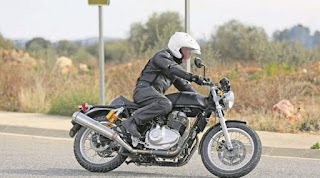 The sneaked shots of the prototype were taken in the UK (source Motorcycle News) close to the Technology Center RE have established in Leicestershire. The bike looks to be more of a testbed than finished article and there are certainly a couple of styling tweaks that could be beneficial. I'm hoping the engine shape changes a bit, it's uncannily like a late CB250 on steroids at the moment, though of course there's likely a lot of folks out there might go for that look! Been meaning to make it over to the Bikers' Blast at Henstridge Airfield for a while but last night was the first chance I've had. The big draw is the chance to run your bike down the airstrip. For this in itself the event is wonderful. In a highly regulated world it was truly refreshing that you can queue up, sign a disclaimer and pay two quid to be let loose on the airstrip in head to head drag race demo runs. I rode my '55 Velocette Venom along and gave it a speed run. On the night I think it was the only British classic on the strip. Most of the bikes taking part are sports bikes, there's the odd cruiser, a few adv bikes, chops, modern classics and monkey bikes too. My run with the Velo was pitted head to head with against a chick on a monkey bike, losing out on a few ccs to the Velo but with a more petite rider probably not too bad on power to weight. And so it was, she made a cracking take off but (and I take no glory!) the cubes won out. Yes, mighty speed king that I am I whupped a chick on a monkey bike. Revving the Venom up to 6000 got me up to around 90 by the end of the run. Not too bad but it wouldn't be very clever repeating that too many times with an old warrior that has seen little but oil changes in the last twenty years. looking bikes and always draw a crowd. And the arse view of the Gixxer. Sweet vintage French Gnome et Rhone. the front wheel of the Gnome et Rhone. And just one more view of the Gnome Rhone. Folks queuing up for a go down the strip. A literal 'run what you brung'. Sign a disclaimer and off you go. Pre-war 350 BSA ohv in just the right condition. Near ideal weather for last Sunday's VMCC Wessex Veteran and Vintage Section's run tempted a decent number of bikes out to ride the lanes of Dorset. Start point was the very ideal restored platform of the Shillingstone Railway Project. Hambledon Hill Iron Age fort in the background. AJS showing its big port. Douglas in just the right condition. 1915 Harley Silent Gray Fellow combo and AJS G2 twin. Close up on the 1915 Harley. bespoke leather gear and toolboxes for vintage machinery. advanced than the Brit machinery of the era. 'Yankee' type loco from Yugoslavia. Side view of the BMW R57. The R57's rear brake operates on the drive shaft. Another R57 view just for the hell of it. Douglas featuring tartan relief on the petrol tank. Sod lawn tennis and cricket, summer is all about bike night season. 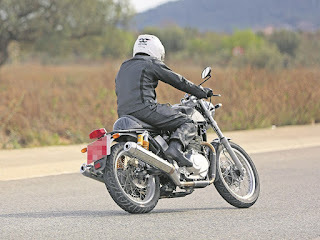 Here are a few snaps from the gathering every Tuesday eve at Bugad motorcycles. Sweet Honda 400/4 cafe racer. Line up with a pair of 400/4s to the front. A brace of Buells. Both S1 Lightnings. Motorsport limited edition is the colour scheme. Full view of the Lamby chop. Fine riding weather has been lacking so far this summer but yesterday evening was an exception. The evening sun was a good excuse to get out and make the most of it with a ride over to the local Dorset VMCC meet for their annual vintage car and bike ride in. The weather drew a decent turn out of bikes and five classic / vintage cars. Here are a few snaps of the machines parked favourably for photo ops. Series C Vincent Rapide wearing its age well. Sweet Royal Enfield Model G.
British machinery from the golden era. BMW K75. Now a classic. Sunbeam S7 to the fore. This snap is captioned 'Douglas 350cc 1934'. 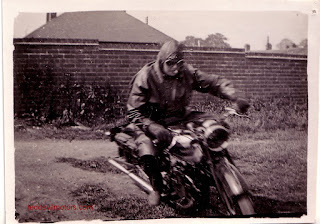 Dig the goggles and flying helmet. The stub of roll up cigarette adds to the look too.